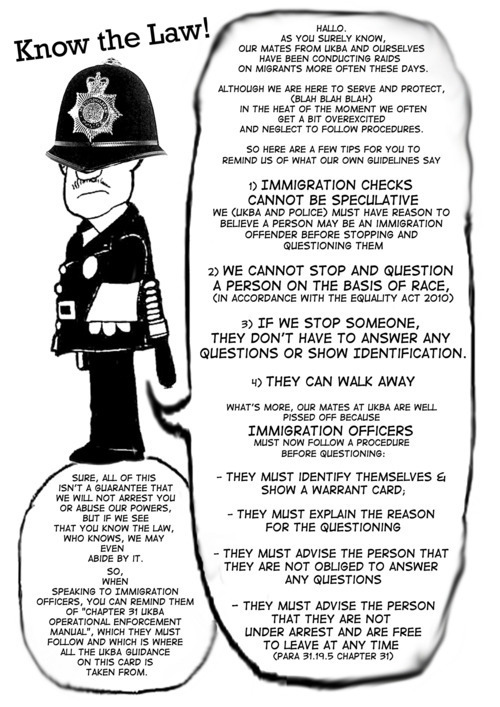 *Hundreds of leaflets were handed out in Peckham, South London, on Saturday 3rd March to raise awareness about the deportation. *Many people phoned the Nigerian High Commission in London on Wednesday 7th March to protest against the deportation. Staff at the Nigerian High Commission are paid by the UK Border agency to interview people in detention and issue them with emergency travel documents for deportation to Nigeria…even for non-Nigerian nationals. *The next day, the UKBA replied to a Freedom of Information (FOI) request but refused to disclose their level of collaboration with the Nigerian Immigration Service. The Border Agency claim that: “Disclosing this information would have a clear effect on UKBA’s ability to carry out removals to Nigeria and would directly prejudice the operation of immigration controls”. I wonder why? 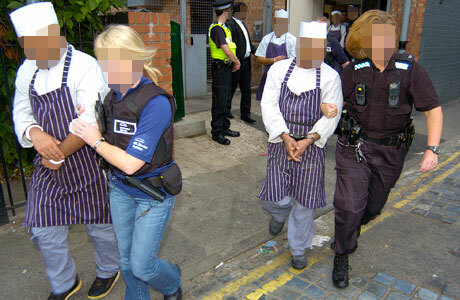 The level of secrecy between the British and Nigerian Immigration authorities suggests a similar scam is operative in the UK. *John Abraham at Colnbrook did not fly. Will Nigerian Government let UK deport a Cameroonian man to Nigeria? 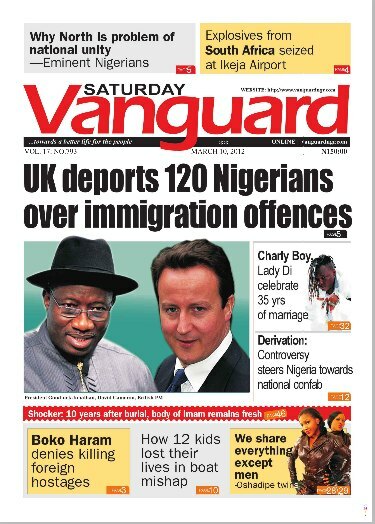 Did January 26th UK/Nigeria deportation charter flight include Tanzanians and Somalis? Why is Nigerian High Commission in London giving the UKBA emergency travel documents for non-Nigerians? Patrice Ndjonssy is a 40-year-old Cameroonian national is currently detained at Brook House IRC. Patrice fled to the UK in 2008, to escape persecution in Cameroon. His safety is at severe risk, should he be removed. UKBA plans to remove Patrice on Charter flight PVT090 Thursday 8th March 22:30. This will be the 14th attempt to remove Patrice. The destination country on Patrice’s RD’s is Cameroon but he is the only detainee on Charter flight PVT 090 with the destination as Cameroon. Other potential removees with RDs on PVT 090 the country of destination is Nigeria; Patrice is extremely worried that if removed he will be dumped in Nigeria! In Douala, Western Cameroon, Patrice was the proprietor of a bar and he and his family (wife and two children) lived in adjoining accommodation. Although he occasionally served customers who were members of opposition parties, Patrice himself had no interest in politics and was not a member of any party. However, on 26th February 2008, two gendarmes took him into custody and questioned him on opposition membership. strong light was shone in his eyes and cooking oil was poured over him to attract cockroaches. Patrice escaped when one police officer took pity on him, hid him in the boot of his car and drove him out of the gendarmerie. The officer took him to his friend George’s house and told him that he needed to leave the country. A friend of George helped Patrice to travel to Nigeria and then to the UK, where he telephoned his wife, telling her to reimburse George for the flights. His wife told him that the bar had been burnt down on the 29th February, three days after his detention. During his time in the UK, Patrice has made positive contributions to society through voluntary work. He spent two to three months on a wood recycling project and then spent six months volunteering with the Salvation Army. 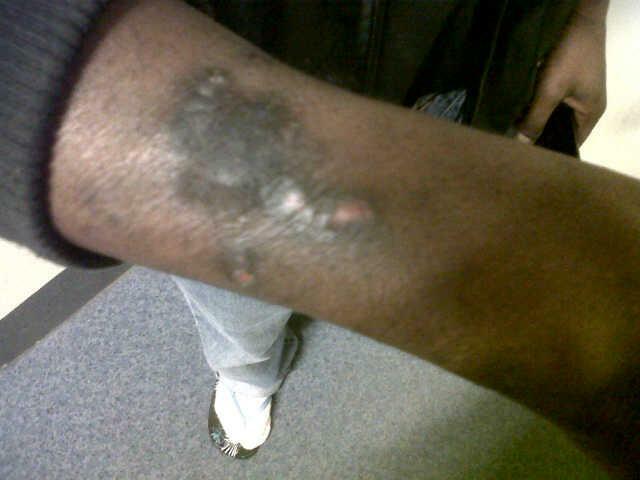 At the same time, Patrice has suffered greatly as a result of his treatment at the hands of the gendarmes in Cameroon. He has migraines and high blood pressure and takes medication every day. He is also in a highly stressed state. Even though Patrice has no involvement in politics, he is now assumed to be an opposition supporter and will feel the full force of this anti-opposition violence if he is returned to Cameroon. Patrice’s appeals and Judicial reviews have been dismissed and he is now appeal rights exhausted. 1. Please fax/phone/email, Secretary of State for the Home Office, Rt. Hon Theresa May, MP. Ask her to exercise her discretionary powers to stop the flight, ands release Patrice Ndjonssy from detention and to grant him protection in the UK. Mass Deportations to Nigeria and Cameroon from UK on 8th March! Deportações em massa to Nigéria e os Camarões do UK 8 de Março! UK Border Agency call this: “Operation Majestic”! Agência de fronteiras do Reino Unido chamam isto de: “Operação Majestic”! On Wednesday 7th March at 2pm, let’s all call the Nigerian High Commission in London! Phone Blockade – Jam their Phone Lines! Why? They collaborate with the UK Border Agency to make travel documents so people get deported. They even issue travel documents for non-Nigerians! The only African country to do this… And mass deportations to Nigeria are happening every 6 weeks. Vamos todos chamar de Nigerian Alto Comissariado em Londres! Bloqueio suas linhas de telefone! Por quê? Nigerian Alto Comissariado em Londres em colaboracao com a Agência de fronteiras do Reino Unido que produzem documentacao de viajem para deportacao das pessoas. Eles, tambem, emitem documentos de viagem para não Nigerianos! Eles são o único país Africano a fazerem isso… e deportações em massa para a Nigéria estão acontecendo a cada 6 semanas. Topic: How to protect ourselves from immigration checks in the street, at work and on demonstrations. Many people in Peckham live in fear of deportation. Members of the Stop Deportation Network who live locally want to help organise events where people can feel safe and confident to challenge deportation in whatever way they decide. Tell your friends and family, any groups you belong to, and if you’re already involved in anti-deportation campaigns then let’s work together! Tópico: Como proteger-nos da imigração: verificacao na rua, no trabalho e em manifestações. Muitas pessoas em Peckham vivem com medo de deportação. Membros da Stop Deportation Network (Rede de Deportação) vivendo localmente querem ajudar a organizar eventos onde as pessoas possam se sentirem seguro e confiante para desafiar a deportação de qualquer forma que eles decidem. Mencione aos seus amigos e familiares, todos os grupos que você pertence e se você ja estiver envolvidos em campanhas de anti-deportation, vamos trabalha juntos! Nossa rede inclui pessoas com uma vasta gama de experiências: ex-detidos e requerentes de asilo, os visitantes aos centros de detenção de imigração, ativistas sem fronteiras, imigrantes, fiança fianças, médicos independentes, contatos legais, grupos de advocacia, grupos religiosos, grupos comunitários.